Wonderdrug is quite possibly the most important American rock band since the bands that emerged from the Seattle grunge movement of the early-nineties. Wonderdrug's sound is an explosion of psychedelic freak-outs, emo-pop hooks, and kick-out-the-jams rock swagger. Wonderdrug's sound is fresh and innovative, yet their artistic vision is so fully realized that their songs sound strangely familiar at first listen. Wondedrug is a sonic confection of infectious pop melodies, honest lyrics, and acid rock jams that embraces the world of art rock modernism and psychedelic rock intuitions. 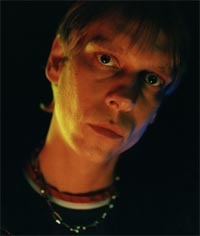 Wonderdrug is the brainchild of identical twin songwriter/producers Marc and Eric Klee Johnson. Eric and Marc compose the group's material and are the band's visionaries. Marc's voice is a nicotine-stained concoction of John Lennon and Robert Pollard and his guitar playing is equal parts Jane's-era Navarro and Tommy-era Townsend. 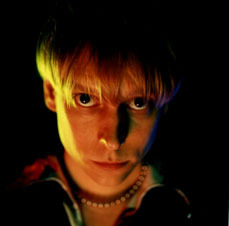 Twin-bro Eric is a noted indie rock producer, who has worked with artists such as Transmatic, Toxic Reasons, and Elektolab, his bass playing calls to mind vintage Tommy Stinson. 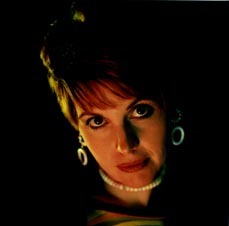 Kelley Milligan is perhaps most responsible for the uniqueness of the Wonderdrug sound. Milligan is a classically trained singer but she does not let that get in her way of her rock-n-roll fantasy. Kelley is a rock icon with a voice and look that is truly mesmerizing; Milligan's voice will call to mind Debby Harry one minute, Grace Slick the next; however, never always her own. Adam White is perhaps the greatest rock drummer since Kenny Aronoff, who happens to be the Adam's mentor, close friend, and drum instructor. White has an undeniable jazz influence; however, his artistic take on electronic beats mixed with arena rock bombast is truly mind-blowing. The combination of these four stellar musicians must be heard to fully comprehend. Since its inception, Wonderdrug has built up a rich catalog of original material. 15 songs of which can be heard on Wonderdrug's debut album "HI! "(Indie 500) released in 1999. Since that time the group has toured relentlessly building a strong fan base and critical notoriety both as a headliner and opening act for Staind, The Cult, Stabbing Westward, Oleander, Tantric, Dust For Life, Local H, Vertical Horizon, Matchbox 20, The Cranberries, and Semisonic. The group's website, www.wonderdrug.net is a popular online meeting forum for the group's fans. Wonderdrug has received airplay on Modern Rock and AAA radio as well as television play as part of national ad campaign for Monsoon Car Audio. The Monsoon spots include Wonderdrug songs “Supersonic Daydream,” and “Star Trip” and are part of a Volkswagen ad campaign that also features The Verve, The Orb, and Spiritualized. The Drug is currently recording tracks for a new album; the first single "Automatic" is already saturating the airwaves of some select Midwest modern rock stations. Wonderdrug recently shot a video for the album's second single, "Salvation" with director Nate Weaver. To hold fans over until the release of the next Wonderdrug full-length album, the band will release a 4-song EP entitled “Automatic” that will hit stores in November. Watch out for Wonderdrug’s LP to hit stores by the holiday season 2001. Contact: Terry L. Monday, Esq.